The new notes continue the theme of “ages and styles”. 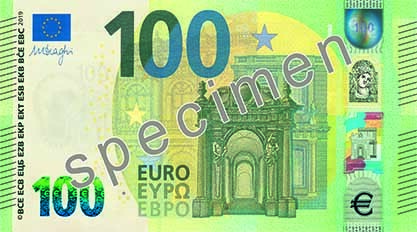 The 100-euro note features the baroque and rococo style. 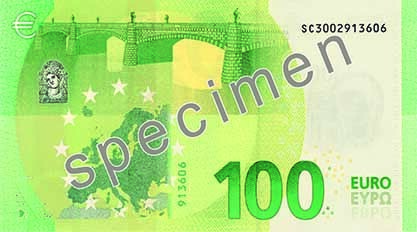 The new 100-euro note is the same width as the note of the first series, but it is a little less high. The dimensions of the 100-euro note of the second series are 147 mm x 77 mm.